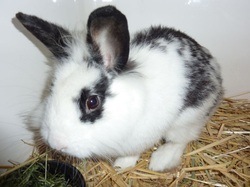 Humbug was found as a stray and handed in to a local veterinary surgery. 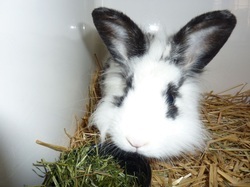 We do not know his exact age, he is full grown but does not look like an old rabbit. 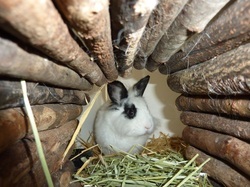 He has recently been neutered and is ready to be rehomed with a new friend, ideally a neutered female. He is slightly nervous but easy to handle and is not aggressive or territorial.